My alarm clock went off at 6:15. In my drowsy, half-asleep state, I recognized that it really wasn't unreasonably early or anything, and that the morning sunshine was starting to infiltrate my cozy bedroom. Five minutes turned into ten minutes turned into twenty-five minutes, and now I had to get up or I'd be late for work, and the poor dog was probably in the entryway doing the "potty dance." And once again, my Bible sat in the living room, unopened. I think we've all done it. I think we've all experienced it. 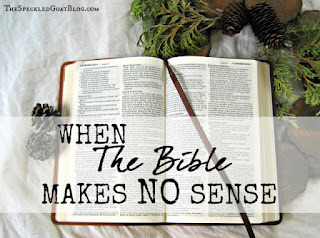 Reading the Bible just isn't a priority for us sometimes. I don't know about you, but for me? Those days (those many, many days) when reading Scripture is pushed to the side make me feel guilty. I know I should be reading my Bible. But how can I make it a priority? First, I think it's important to recognize some of the big problems we face when it comes to reading Scripture regularly, and address those. We need it, you know. We need rest for our bodies to function the way they're supposed to, and for our souls to be nourished. Many people plan to read the Bible in the morning, before the day begins, but those plans get easily sidetracked by pillows and cozy quilts and flannel sheets. (I love my flannel sheets. Love. Them.) And why? Because we're not getting enough sleep in the first place. You can't really expect to go to bed at 3 a.m. and be up and ready to spend time in Scripture at 7. That snooze button will be a much higher priority than your Bible will be. The same thing is true if you plan on reading at, say, 11:00 pm. When I'm feeling tired after a long day, the last thing I want to do is read the Bible. An episode of some mindless show on Netflix is my go-to at that time of night. Be intentional about when you plan on reading- and make sure it's not when you're too tired to really focus. Morning routines are so, so important for my day. Studies have shown that we make so many decisions every day that we end up getting exhausted simply by making so many small decisions- choosing one thing over another. By making a routine, and then sticking to it, you eliminate some of those decisions. Even just knowing that I brush my teeth before I brush my hair makes one less decision for the day. Incorporating Bible time into your routines makes it less likely that you choose something else in it's stead. And don't be discouraged if you're not having any success in the morning... maybe you're meant to read your Bible at a different time of day! That's okay, you know. 3) Are You in Transition? Sometimes, we have to recognize that a certain season of life requires a deviation from our normal routines. Moving? Just had a baby? Starting school again? You're in transition. Give yourself some wiggle room, and realize that your routines are messed up. That means you may need to find a different time or different way to connect with the Word. 4) Are You in Survival Mode? For a while, there, my life was just simply crazy. I had an injured husband- and the physical therapy and doctor's appointments that came along with that- we were in the process of moving, I was working full-time, and we were renovating our house. My Bible reading went to the wayside. Big time. 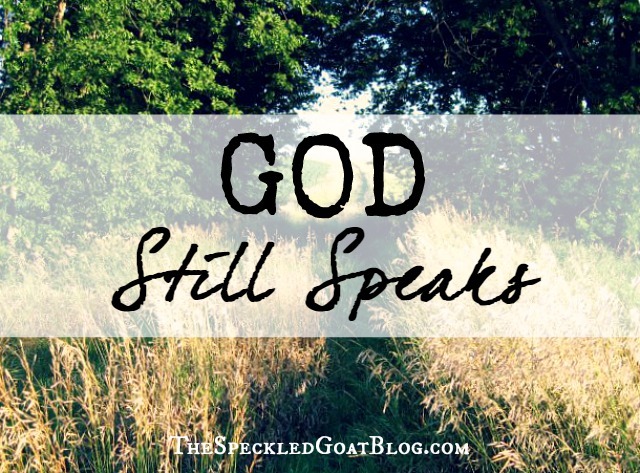 Of course, it's in those really hard times when I seem to depend on God even more strongly- and I really fell back on truths from His Word to get me through. Even though I wasn't reading the Bible actively, the Word hidden in my heart impacted me in new ways in survival mode. But the thing about survival mode is that it's a phase. It's not meant to last forever. When things start to settle down again, reset your routines and make Scripture a priority again. 5) Are You Reading the Bible with the Right Perspective? 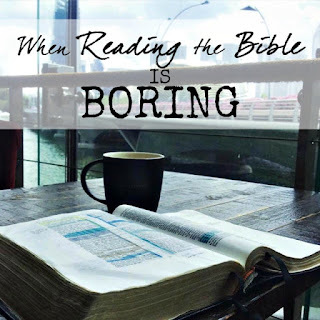 Here's the biggest thing for me- sometimes, reading the Bible seems more like a chore than it does a privilege. 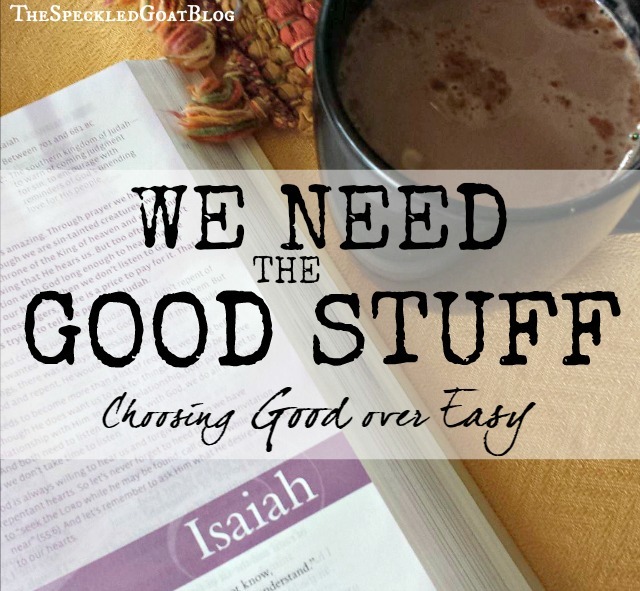 If we're reading Scripture because we're "supposed" to, or because we think it will earn us heavenly brownie points, or because we want to one-up that know-it-all in Bible study, we're doing it wrong. The Bible is a tool. It's a love letter, it's a window. It's a guide. It's a lamp, it's a way to abide in Christ. The Bible is a family tree. It's a history book. The Bible is many things, but a check box on your to-do list really shouldn't be one of them. I'm guilty of it, though. I'm guilty of putting "Read Bible" in the same column with "Sweep the floor" and "Fold laundry," not only on my list of things to do, but also in my mind. Is it any wonder that I avoid reading it, then? My perspective is all wrong. The Bible isn't a chore- it's a gift. I don't have to read the Bible, I get to read it. Instead of thinking of the Bible as a another task, think of your time reading Scripture as a luxury. That's what it is, after all. 6) Is It Something Else? 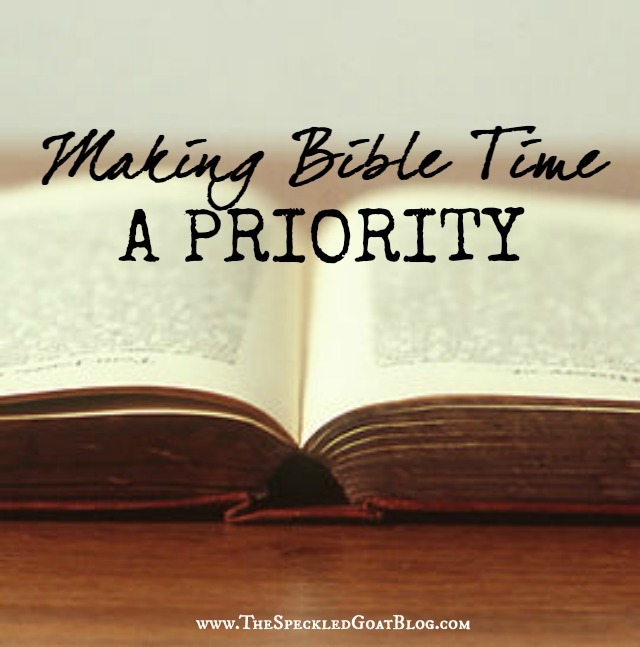 Are you avoiding your time in Scripture because you're confused about a passage? Or because you're bored? Overwhelmed? Do you need some accountability? Are you being beaten down by your own perfectionism? Is your schedule out of control? Is it about your own self-control? Are you filling up your time with junk? When I'm really having a hard time getting into the Word, I try to ask myself some questions to really get to the bottom of it. Taking time to be really honest with myself, to truly evaluate just what my issue is, anyway, makes the difference for me a lot of the time. I want to be a woman of the Word. And that means that I'm going to have to make reading the Bible, being in His Word, a priority in my busy life. This post tells me that I am not alone. I have the guilt. I have the too busy time. I can't tell you how thankful I am for this post today. I needed it, God wanted me to have it. Our pastor's sermon yesterday was to 'seek FIRST the Kingdom of God.' All other kingdoms (email, sports, gardening, chores, walking the dog, EVERYTHING)are secondary. 'THY Kingdom come, THY will be done.' I'm signing up for the 21 days, and thank you! You're certainly not alone. When I did a quick survey about what my readers struggle most with, "reading the Bible consistently" was the #1 struggle. We're not alone in this! Thanks for signing up- I hope that the group and guide is a real encouragement to you! It is a challenge ---it is always a challenge. Glad I'm not alone in this. Thanks! Oh, yo're certainly not alone. Glad I could give you a little "me too!" today! I think that understanding why we struggle is the first step in dealing with it. And sometimes, a little self-honesty goes a long way!